cooking | When's Happy Hour? 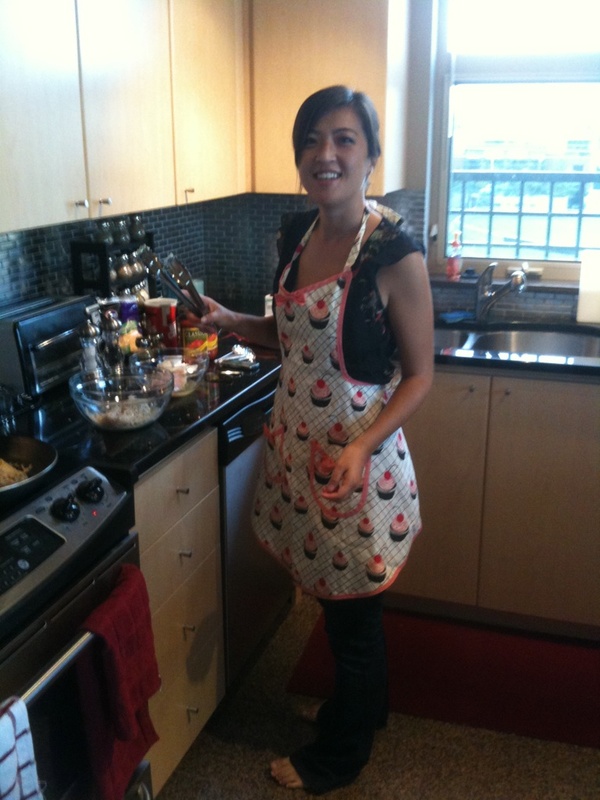 Ever since I got married, I really dug down deep and was convicted to learn how to cook. My general cooking consisted of a lot of cereal, pasta, and frozen pizza. Armed with a lot of new great kitchen appliance gifts, a spice rack, and a really cute apron, I set out to dive into learning the basics. I’m a complete novice, and so I’m starting out slow. Anything with more than 5-8 ingredients scare me away. 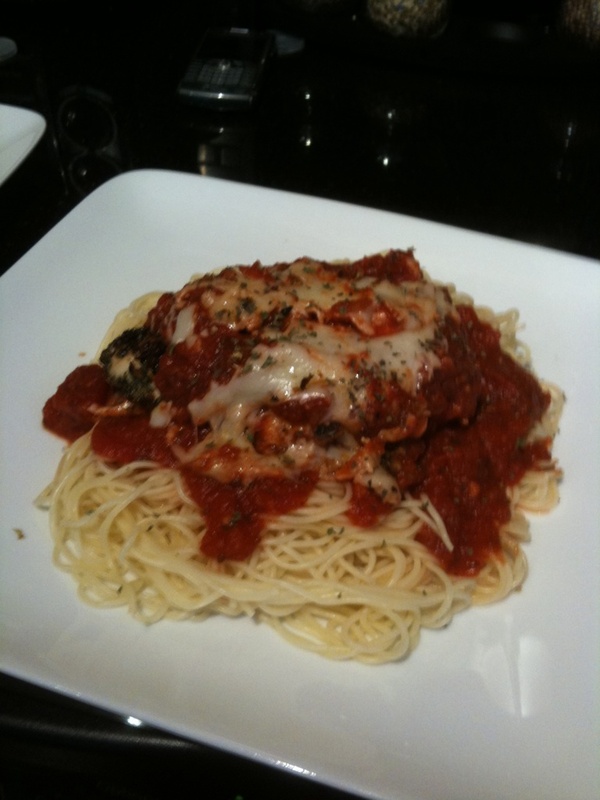 I’ve been trying out mostly recipes from Allrecipes.com and Cooking Light Magazine. Once awhile back I made a really bad chicken casserole thingy that NEVER cooked and we had to give up and eat pizza. 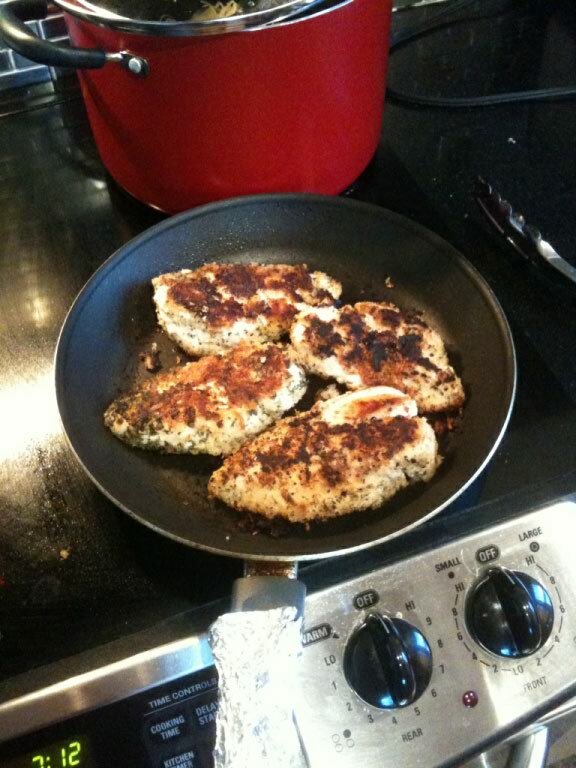 I realize now that I think I used frozen chicken breasts and not fresh ones. boo! Now, to the good stuff. All you cooks be nice. I give myself a lot of credit for these but I know I have a long way to go 🙂 Don’t worry, I’m not delusional. After breading the chicken breasts (which I felt really cool while doing), you fry them and then bake them in the oven for the last few minutes along with grated parmesan and pasta sauce mixed with a little balsamic vinegar. Then put over pasta, and it looks beautiful! I say, restaurant quality even. This one was the most involved recipe I have ever tried. Additionally, it involved waking up in the morning to prep all the stuff (left) in the crock pot. 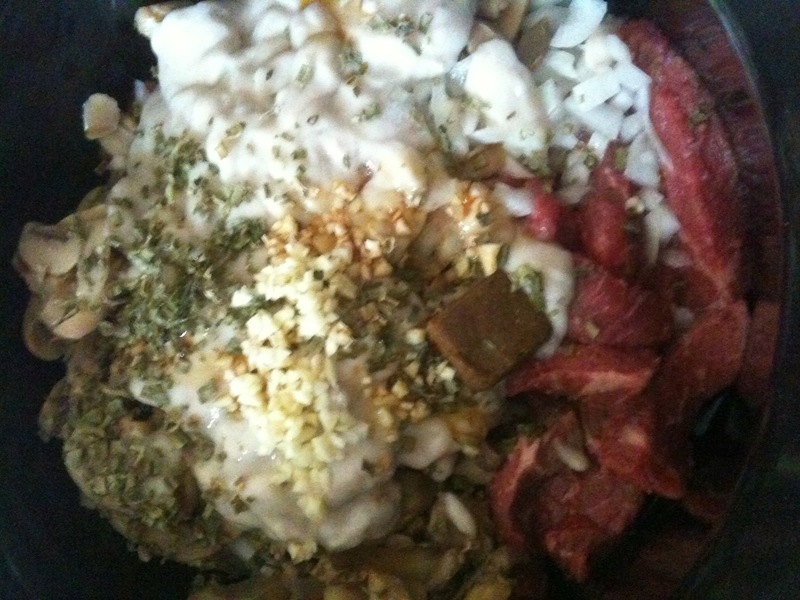 Strips of steak, onions, garlic, white wine, mushrooms, cream of mushroom soup, spices, sour cream…. 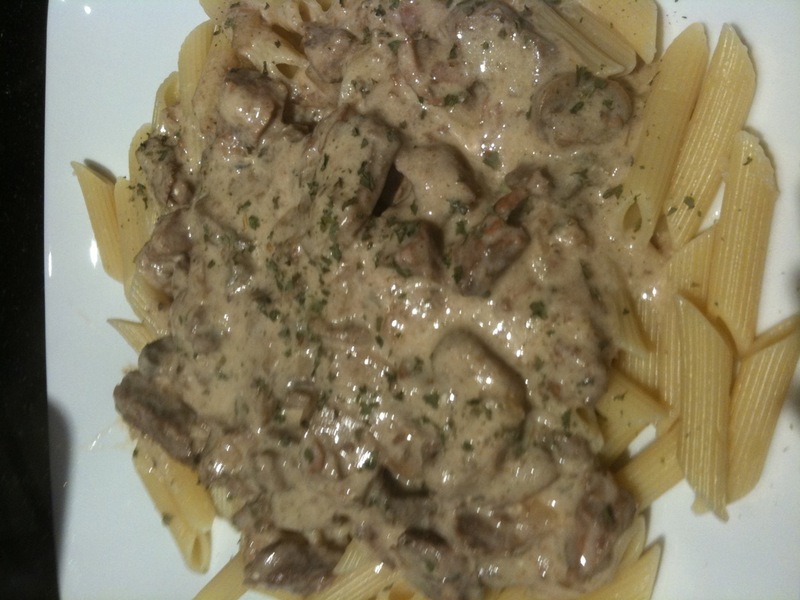 Then, let cook for 7-8 hours, to get the pasta sauce. It was so tasty! and my proudest achievement yet.